In week 1, we learnt of Nachiketa and how he came to meet Yama, the Lord of Death, and how he came to be granted his 3 wishes, or 3 ‘boons’. Week 2, Yama taught us that we only have ever 2 choices in any situation; that which is Preya and that which is Shreya. Week 3, we learnt from Yama that our being is a vehicle that we must learn to navigate through this life – understanding that behind the driver of this vehicle, there exists a higher consciousness which is witness to everything. Week 4, we understood that our body is like a city with 11 gates, and to fill up our inner cities with energy, we must become aware of what it is that lifts our Prana higher and what it is that drains it. Week 5, we came to know that the key to enjoying the outside world is to become the IN-joyer; to raise our level of internal energy higher so we can look to the world through these eyes. Then last week… we found out from Yama that we have not only one body – instead, we have 5 bodies of different densities, which move from our most physical to the more higher dimensions of ourself. And then we asked, can we observe these bodies – the physical, the energetic, the mental, the intuitive, and the blissful….from a place even higher than that? Is there something beyond this that is not polluted by these 5 bodies that we can tap into? And so we arrive this week at week 7 of the Katha Upanishads, where Yama’s teaching this week is about our endeavour to turn up, WHOLE-heartedly for the WHOLE package of life. Yep, all of it. The whole enchilada. The one body out of the 5 we have that seems to cause us the most kerfuffle is the Thought body, the Manomaya Kosha, (or simply put) our minds. Especially when we’re on a path, or a ‘spiritual journey’. If we’re not careful, we can end up over-analysing and scrutinising everything, until just hanging out with our folks can be hard work. We can of course use the mind to remind ourselves of our truth, but if it’s used to ruminate over spiritual truths…what is right, wrong, good or bad, we can essentially end up creating another ego, the ‘spiritual ego’. The worst of them all! The spiritual ego causes us to become over-serious, spiritually uptight and then we can’t function in the great fullness of life. Of course the mind is a great functional tool, but it’s not the best piece of equipment to run our lives with. ‘Spiritual life’ is not an occupation, it is that which makes all of life supremely better. And we won’t know this, unless we’re doing life. The whole thing, with our heart wide open. Although we all try our best to, the truth is, we can’t use our mind to calm our mind. Or even to grasp and understand truth. What we can do is use the mind to point us back to the more inner sheaths, where the inner joy (the bliss body) and the inner knowing come through, with the ultimate intimate knowing that essentially, ‘it’s all okay’. Our fundamental duty, is to keep doing that which keeps our energy high enough so our mind is not running over the top of this and stealing the show. What Yama is asking us to do is to try to embrace every part of life, including the pains, the sorrows, and everything which we do not like. He tells us that we can either be with these things, or base a whole life around the avoidance of these experiences. Of course, this is another teaching of Yama’s that doesn’t happen overnight. He asks us to be patient, and to just do what we can do right now to accept life in all of its forms. He reminds us that our ticket to heaven is here, on this Earth, and to get it, we need to face it all, open to it all. To do this, we do not need to go anywhere – in fact, our life is already totally kitted out already for our own enlightenment.Steve gives us a beautiful phrase to recognise this. He says; “You can only grow out of your own native soil”. We can transfer this 10 stone bag of soil to New Zealand, but we’re still in the same bag of soil. Of course, there’s nothing wrong with New Zealand, it’s lovely and there are hobbits, but essentially, our bag of soil is coming with us whatever, and this is the only place that we can grow from. 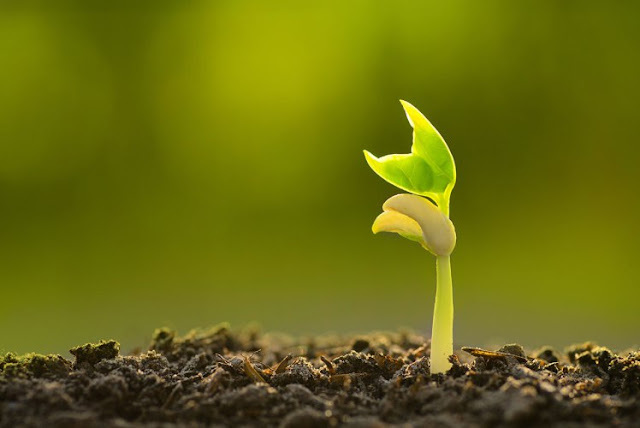 Everything that happens in this life, we can use as fertilizer for this growth if we choose to pay attention and to continuously keep choosing to open. Yama explains, “If you wish to experience that which is eternal, you must first open to everything on this Earth level which is not. Then over time, you will gradually, patiently transcend everything which does indeed die.”. So we do our very best, each day, each moment, to accept, embrace and eventually transcend through these experiences. What a challenging process….but it sure sounds like “expansion” in its biggest form, doesn’t it? We can choose to base a life around the avoidance of and live half a life, or we can choose to try and accept and experience the whole juiciness of life that it wants us to experience in order for our own growth. So can we take it all in? Can we experience all of the flavours of life willingly? We can most certainly do our very best. “So keep rocking, keep rolling, keep breathing, keep yoga stretching. Keep saying YES”, Steve smiles.